Added show open label for current day to Opening Hours block. Fixed an issue that caused the open/closed message to not always work correctly in the opening hours widget for a location in a multi-location setup. Fixed an issue that caused ‘Local Pickup Allowed’ to show a duplicate setting in the admin columns. Fixed a fatal error that occurred when saving an API key on a fresh install. Changed a posts_where filter that in some instances was causing the Woocommerce customer order page to not show their orders. Fixed a bug that was causing the Map block to fail loading in the admin area when upgrading from Local SEO 9.7+ to the current version. Always force Company or Person to Company. Users can now choose per location whether the time format in which opening hours will be displayed should be 12 or 24 hours notation. If the option is not set, there is a fallback to the default, stored under options. Show a label in the opening hours after the current day stating if the location is opened. This can be turned on in the widget or by using a this filter: wpseo_local_show_open_now_label. Prevent days from selecting themselves in the opening hours widget. API key settings for lat/long calculation are now more clarified and state that an API key first needs to be set before automatic calculation of lat/long can be done. To prevent cached shipping results to be shown, WooCommerce’s shipping method transients are now cleared when the local store pickup options are saved. Opening hours block now shows ‘Loading opening hours’ label in the editor when loading data. When a location needs to be selected, the label ‘Please select a location in the sidebar on the right’ is shown in the editor. This makes it more clear where the location selector can be found. Adds margin to the Location Select dropdown for UI improvement. Names of week days were misspelled. They now contain the mandatory capital. Locations category sitemap was not generated. It is now. From now on it’s only excluded when no categories are available. Fixes JS error when no shipping zones were set. Fix a missing line break in the 2nd address line. Fix a bug that caused dimension for the store locator map not to work. Fix a typo in the custom permalinks description on the settings page. Fixed a bug that caused password protected locations to show up. Fixed a undefined variable in localization data. Fixed a bug that caused the 2nd address line no to be outputted in the .kml file. Fixed a bug that caused the business logo’s not to show up when showing all location addresses. Show the location category taxonomy in the Gutenberg sidebar. Fixed a bug where a PHP warning would be displayed when php_uname has been disabled for security reasons. Added description to clarify the used of the business image in the Yoast SEO: Local settings. Fixed a bug that caused custom classes not to be added to the address- and map-block output. Fixed a bug that prevented a business logo from being shown in the address shortcode and block. [wpseo_map id="all"] and [wpseo_address id="all"] now actually show all locations instead of a maximum of 10. Fixed a bug that caused the Yoast SEO: Local enhanced search not to work. Fixed a bug that made the message that a location is open 24/7 not show up. The enhanced search can now be enabled / disabled from the settings page. Change the json-ld output to better reflect the desired output for schema.org for opening hours for 24h and 24/7 opening times. Fixed a bug where opening hours were not correctly shown in the header for Facebook Open Graph. Added Slovenian translation for the plugin. Opening hours options were still showing, even though the 24/7 option was selected. Fixed a bug with the Open/Closed widget. It now shows the correct messages at the correct times. Fixed a typo that caused the shortcode generator for the store locator to no longer work. Prevent double output of JSON-LD structured data when using opening hours in address shortcode. Fix invalid XML sitemap output by escaping URLs. Changed UI for permalinks and labels on the general settings page to be more user friendly. Better aligned labels for input fields on the general settings page to make it clearer what field they belong to. Fixed a bug where if wpseo_json_ld_output was set to false, Local SEO still ouputted JSON-LD data. Fixed a bug where wpseo_show_opening_hours_after was used as an action instead of as a filter. Fixed a bug where Show URL was not an option in the Show Address widget. Fixed a typo in the word ‘consider’. Fixed a typo in assignment vs comparison operator. Updated Yoast SEO JS to 1.34.0. Changed faulty text for showing address on one line in shortcode. Remove leading comma in address when business name is hidden. Remove leading comma in address when business address is hidden. Make output in .kml human readable and not encoded. Added link to Yoast KB about HTTPS when HTTPS is disabled. Fixed a bug that caused the ‘draggable’ option for the Store Locator not to work. Add filter yoast-local-seo-search-label to edit Search Label for store locator. Extend WPSEO_Admin_Asset_Manager class to manage assets. Fixed a bug where closed days were not hidden when the option was selected in the widget or shortcode. Added option to set a custom ‘closed’ label. Fixed a bug where Select2 wasn’t working on location pages. Fixed link to Locations CPT in shortcode dialog if no locations are present. Converted knowledge base link to shortlink. Fixed JSON-LD output for opening hours. Extended JSON-LD with @id parameter. Automatically sets the Yoast SEO setting for company or person to company, in order to make full use of the JSON-LD output. Fixed output of JSON+LD under widgets and shortcodes. Cast location ID as an array to make it countable. Images on the shortcode buttons weren’t showing due to a wrong path. Fixed a bug where the Local SEO Shortcode buttons no longer appeared when adding a new post/page/cpt. Moved enhanced search functions to own class. Split the enhanced search posts_clauses function filter into posts_where, posts_join and posts_orderby. Fixed a bug where all scripts for the shortcode buttons were loaded on all the admin pages. Optimised queries for getting locations in shortcode dialogs. Added deprecation notice to wpseo_local_get_address_format(). Moved from NPM to Yarn for dependency management. Changed the output of JSON+LD. In a single location setup the output is only done in the on the front-page and also under every shortcode and widget. In a multi location setup, the output is done on every single location page and under every shortcode and widget. Fixed a bug where you couldn’t upload an SVG as business image. Added filter yoast_seo_local_cpt_with_front to enable or disable prependeding the locations permalink with the front base. Replace schema.org markup with JSON-LD output. Fixed an error whereby widgets were not show on “current location” pages (only appeared when using multiple locations). 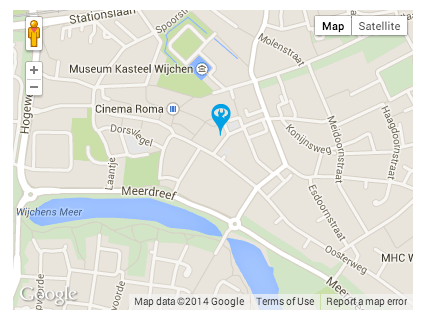 Add a filter yoast_seo_local_change_map_location_url to alter the URL for a location in the maps info window. Added a check if the wpseo_locations locations exists to prevent a notice from being thrown. Check if a lat/long has a numeric value to prevent an error from being thrown. Added 2nd line of business address to .kml file. Changed business:contact_data:country to business:contact_data:country_name to resolve Open Graph error. Allow a maximum number of results to be set for the Store Locator, Map and Address shortcodes. Fixed a bug where, if multiple ID’s were passed to the Locations Repository, only 1 ID was returned. Fixed a bug where location detection wasn’t working in Firefox. The page will now automatically jump to the Store Locator form when a search is done. Added schema markup OpeningHoursSpecification from http://schema.org/OpeningHoursSpecification to opening hours output. The 24h option is now also usable for multiple locations as well as single locations. Show opengraphs tags on every page when using the single location setup. Added support for Beaver Builder front-end editing. Updated this readme for 3.3.1 version to make it clear that we removed the Tools section from the admin panel. Fixed a bug where only an array of ID’s could be passed to the Locations Repository. It can now also be a single ID. Fixed a fatal error that occurred when Local SEO was deactivated and Yoast SEO (Free or premium) was not active. Added a dashicon for Yoast Local SEO. Make use of the new wpseo_manage_options capability. See https://github.com/Yoast/wordpress-seo/issues/7831 for more information. Fixed a notice when saving widgets. Textual changes to benefit UX. Check on business city in URL didn’t work correctly. Flush KML transient cache after saving Local SEO options. The open/closed widget in some cases threw a wp_error which caused a fatal error and the page to stop rendering. Added automatic location detection which was already present in the Store Locator to route planner in the map. Fixed a bug that caused the content analysis to show a red bullet for a address shortcode with valid schema.org, even though it was there. The company logo wasn’t outputted, even though a logo was set in Yoast SEO. The URL in the Google Maps Info Window popup now is the correct one. VAT, Tax and COC id were not shown, they are now. Fixed a big that caused other locations in the ‘copy from location’ select box to not show up. Add a <meta> with the location business name to output when business name is hidden. A rewrite of the way locations are fetched. A new Locatons Repository class is added. This class returns an array of all the location data and can be called by using new WPSEO_Local_Locations_Repository();. With the methods get() you can fetch the locations. Get accepts a number of arguements. Check the code in /classes/class-locations-repository.php for more detailed information. A business image is now scaled to medium size when displaying on the Local SEO settings page. Build in a check for touch devices, to avoid issues with map properties as draggable and gestureHandling. Changed to in the opening hours HTML output to achieve a correct HTML spec. The datetime attribute was invalid. Make the route label in the store locator filterable by using wpseo_local_location_route_label. Added the shortcode buttons for address, map, storelocator and opening hours to other editor windows such as terms and categories. Added a content check for using city in h1/h2 elements on location pages. Added a check to see whether Schema.org is used on location page. Added a check for the use of focus keyword in h1/h2 elements on location pages. Obfuscates email address to make harvesting by bots a bit harder. Added second address to import/exort of locations. Moved textdomain call to make sure that if a user chooses a different backend language, everything is translated correctly. Added filters to admin labels so they can be altered to the users desire. Add a notification to shortcodes when multiple locations are used and no locations are added yet. Added a new function: yoast_seo_local_is_location_open. This function returns true of false whethere a location is currently open. Introduced a new widget that allows you to show a message when a location is open or closed. Added instructions about the usage of 2nd set of opening hours. When only using a single location, you can now see a preview map with draggable marker on the Yoast Local SEO settings page. Added a new option to upload a business image. Added locationaddress2 to the Yoast SEO Local default values to prevent undefined index notices. Fixed a bug where 2nd sets of opening hours were not shown immediately when the options was selected for single locations. Fixed styling bug for 2nd set of opening hours in the admin area. Remove opening hours from settings page when multiple locations are used. Switching between 12 and 24 hour time notations now works again. Added marker clustering as an option. If enabled markers within close proximity will be clustered. Marker clustering can be enabled or disabled by a specific setting in shortcodes (for map and store locator) and the map widget. Added a new filter for using custom cluster images wpseo_local_marker_cluster_image_path. To prevent a repeating world map (in most cases), the minimal zoom level for maps is now set at 1. Added price range fields for schema.org markup. Resolved issue where only published locations were shown in the map for logged in users. Fixed a bug that prevented the Store Locator map to show up for non logged in users. Added missing datetime property for opening hours. Fixed wrong output from wpseo_local_show_address() when a logo was shown. Fixes a bug where a PHP notice was shown when a map was embedded for a site with only one location. Refactoring of the settings page. Added filtering for location categories to the map and store locator. Selecting ‘all locations’ caused the map not to show up in the widget. It does now. Fixed undefined index notice for a location country on a fresh install. Added a second business address line that can be used for example for room numbers or floors. We did a massive overhaul for the import function and also added an export for Yoast Local SEO locations. For developers: functionality is moved from the WPSEOLocalAdmin class to new classes. In order to preserve consistency, London is changed as city in favor of New York in the address format examples. Added option to hide the business address in address shortcode and widget. Fixed a bug that caused a map not to show up when all locations were selected. Added option to automatically detect a users location for use in the route calculation or store locator. Note: HTTPS is required for this option! Added translator comments throughout the plugin, explaining the contextual meanings of %s and %d. Added an option in the map shortcode and widget to show the info window by default if you select a single location. From now on, on the init action, Yoast Local SEO default options are checked. If they are not set, they will be. Sitemap transient is now cleared upon (de-)activation of the plugin. Default opening hours are now set (if not set already) upon activation or updating the plugin from version 3.4 or below. You can now add a note in the address shortcode. Fixed a few undefined index warnings. Add ability to set Google Maps API keys by using the following constants: WPSEO_LOCAL_API_KEY_SERVER and WPSEO_LOCAL_API_KEY_BROWSER. If you are allowed to edit locations, you can now select draft posts in the Local SEO widgets, shortcodes and location data copier. Updated verbiage. The storelocator now reads “Enter your postal code, city and / or state”. Removed wrongfully placed comma’s in some address formats. Centering of map option is disabled by default when inserting Google Maps via shortcode on a location page, since a single location is centered by default. Hide the storelocator settings if not using multiple locations. Show alt text for logo’s. Alt texts can be managed in the media library. City and state are now correctly shown in locations.kml. Removed the deprecated business type Attorney and replaced it with the new Legal Service. When updating from 3.4 or below the business types Attorney will all automaticly be replaced by Legal Service. UX: We no longer tell users they can drag the location marker unless they have set coordinates. Fixes a bug where the address widget didn’t correctly show the address if the address was displayed on one line and the company logo is shown. Remove redundant comma when address is displayed in 1 line and business logo is shown. Default country was set too late, which caused notifications. Introduced Browser API key in settings because Google now requires this to embed maps on your site. Introduced Help Center on settings tabs. Introduced notification for empty API key settings. Refactored the address format code, and introduced a class for it. Deprecated the wpseo_local_get_address_format() function. Use the new WPSEO_Local_Address_Format class now. Location taxonomy names are now based on post type singular name. Location Category Custom Map Marker wasn’t displayed. Company Logo didn’t appear in Address Widget. Show address in one line showed comma when not needed. Error with localTitle and localURL assessments in page analysis fixed. Fixed the links to the location post type and taxonomy in admin, before saving themin the options. Added a support beacon, so you can reach support directly from the Local SEO settings page. Make it possible to empty the “default country” field for the store locator, so it will not pollute the search results when you have locations in mutiple countries. Fixed a bug where Custom Marker Upload field was shown on all taxonomy and category edit pages. Fixed WooCommerce product search. Local search was interfering this product search with location details. Since location details are not needed in product search, this has been removed. In some cases the map was unable to find a route when only a zip code was entered. The default country from the options is added to the route calculation now. “Show Locations Per Category” is now also working at regular pages. itemprop=”openingHours” added to standalone Opening hours widget/shortcode. The comma displayed after city when ‘Show State’ is not selected has now been removed. Don’t show store locator when not having multiple locations. Disabled the store locator functionality when not having multiple locations (you could a regular map with route calculation instead). Location specific checks that were added to the content analysis would no longer work in combination with Yoast SEO 3.2 and higher. In Map widget: Show map widget: Location dropdown no longer hides/shows after saving. Opening hours widget for “current location” is working again. Fixed a bug that caused the store locator to only display one location if multiple locations with the same postal code were found. Makes sure location specific content analysis checks work well with the Real Time content analysis tool in Yoast SEO 3.0. If either the opening or closing time is set to closed, opening hours wil now display this as closed. Fixes content error for Local admin page (iframe of lseo.com). Fixed mixed content issue for XSL. Added option to upload a logo per location. The company logo can now be added to your address widget, the address shortcode or by the use of a newly added shortcode [wpseo_local_show_logo]. This shortcode accepts id as attribute. Added option to change the URL when using a single location. If geocoding limit is reached, a notice will be shown. Added label fields. You can now determine your own labels for locations. Wrong opening hours were added to meta-data when location is closed. Category sitemap was created when there were no location categories. Accept both “value” and “nice name” for Business Type in import. Added option for hiding (not using) opening hours. Added option for entering a Google Maps API key (useful when you have hundreds or more locations). We added a tab in the Options section, where we’ve listed some great Local SEO tools. Updated translations for 10 languages. Fixed issue where multiple locations or change of slug gave a 404. Hide “Show route” when not selected from popup. Properly minify admin CSS scripts. Fix error that prevented properly recognizing current version. Mismatched itemprop="email" for URL’s now changed to itemprop="url"
Video sitemap was breaking after update 1.2.2.1. Fixed. Fixes fatal error in metabox when having no internet connection. Updates lat.long coordinates after changing address of location. Force slug for locations CPT, even when blank in admin bug. Notice fix in widget when location has no lat/long coordinates. Possibility to add default country to improve searches from store locator (it adds the country to the search query). Show message when route cannot be calculated. Pre-select location when adding short codes via popup. Add filter to time-frame in Opening Hours. Added parameter to shortcode that prevents mouse scrolling. Fixed: Store locator gave unexpected results with a lot of locations. Store locator popup checkboxes didn’t work correctly. Now they do. The scrollbar is gone too. Fixed: When some locations don’t have geo locations, map with all locations fails. Fixed: Map failed when some locations don’t have lat/long coordinates. Checkbox ‘Hide closed days’ in widget-admin now works. When using the “insert address” button it inserts the entire address with phone, country, fax, ect whether or not it’s checked. When “hide closing days” isn’t checked it still hides them. Added shortcode ( [wpseo_all_locations] ) to display all your locations at once. Allow license key to be set by constant WPSEO_LOCAL_LICENSE. Key will be hidden if valid. When specifying a business type and saving, the chosen business type is now selected. Added comment box in the address and opening hours widgets, for extra (optional) comments. Make sure maps work on https. Move JS to external file. Allow more values in shortcodes to set stuff to false. Make maps output search engine indexable links too. Fix activation hook to work on add_option instead of just update_option, so activation works immediately. Multiple maps embedded on one page now work properly. Dropdowns with chosen script now line out properly. Google Maps geocoder script + maps embed scripts now properly enqueued and outputted in footer instead of within content. Maps shortcode output bug fixed. Added link to FAQ entry about schema.org business types. Added back LocalBusiness business type to top of business type select. You can now use “Current location” for widgets, so you can use them on the locations pages. They’ll output nothing outside of locations. Added da_DK, hu_HU, it_IT and nl_NL translations. Fix class_exists check to actually check for the right class (props Ryan McCue). Make both front and backend classes global so methods can be used outside the plugin (props Ryan McCue). Fix overwriting of $args variable which broke widgets. Added hide_closed option to opening hours shortcode and widgets. Added option to show fax number and email address in both shortcode and widget. Improved UI for opening hours. Switched to a better endpoint for Google Maps Geocode API. Added state to KML file output. “undefined” URL in maps shortcode and widgets. Values “off” and “no” now properly work for shortcodes.